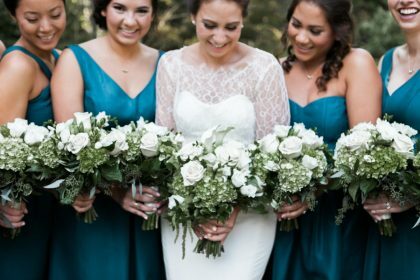 Take a classic color palette – ivory and gold – and add in a punch of color (teal!) and what do you get? 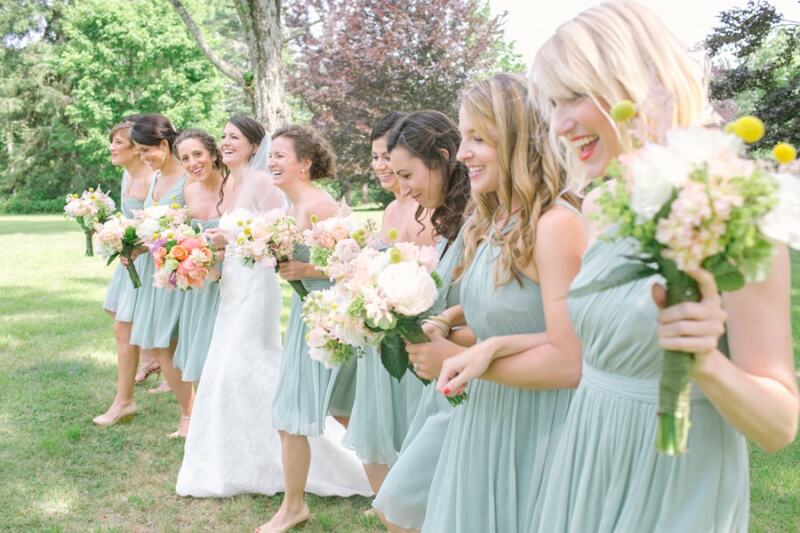 One really fun and fabulous wedding that we’re pining over (and pinning nonstop)! Brigham & Co. captured every delightful detail of this Connecticut celebration, from the unique wedding dress (designs by Amy Kuschel and Jenny Yoo combined) to lots of late night dancing thanks to Around Town Entertainment. See it all in our Vault right this way! From Brigham and Co… They didn’t know it yet, but Sarah and Brendan lived only three blocks apart before they found one another. 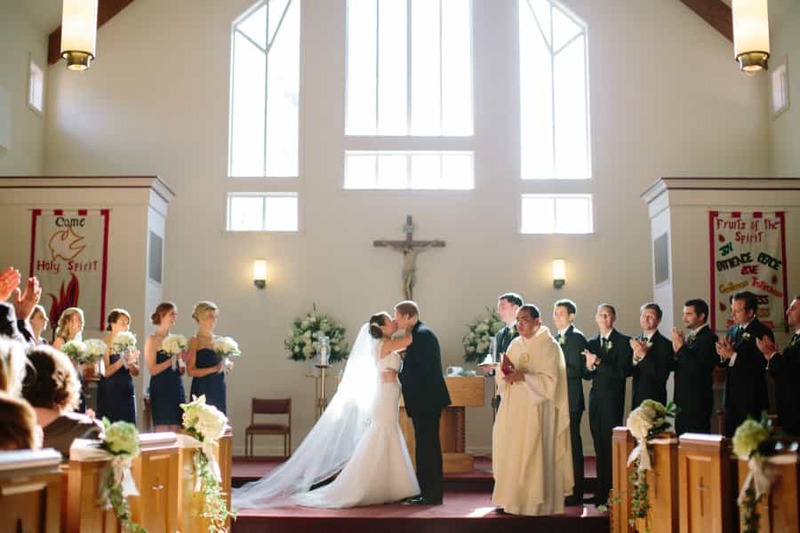 With big hearts, and a knack for good humor, it’s no surprise a little comic relief took place when they met for their first date at Pen Rose in NYC when Sarah hugged a guy she thought was Brendan, only to find out he hadn’t arrived just yet. After this first encounter, these two were bound together for what would soon become forever. On September 17, 2016, Sarah and Brendan wed on a picture-perfect autumn day at the Hartford Golf Club in West Hartford, Connecticut. 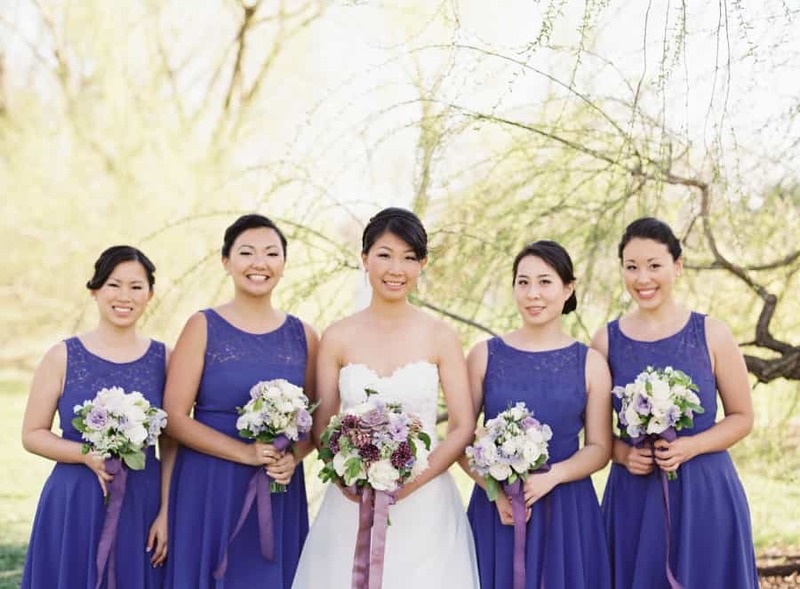 Sarah readied with her maids at her mother and father’s elegant Farmington, Connecticut home, donning an assortment of fine details and a wedding dress that turned heads – an elegant Amy Kuschel and Jenny Yoo combo. Sarah and Brendan joined their love in an Interfaith ceremony held outdoors on the grounds of the Hartford Golf Club, beginning this next, wild chapter of life with the groom’s customary “breaking of the glass.” A modest gathering of those nearest and dearest cheered and exalted as the celebration moved gracefully into a beautiful, sunset-lathered cocktail hour, and onward into a candlelit reception adorned with white roses, variegated greens, and live music to dance the night away.